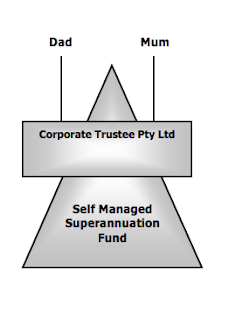 Many specialist advisers to self managed superannuation funds (SMSFs) recommend the use of a corporate trustee, as opposed to individual trustees. particularly in relation to sole member funds, the use of a corporate trustee significantly simplifies the overall structure of a SMSF, as a sole director company is permissible. In contrast, it is impossible to create a valid SMSF with an individual trustee and sole member (there must always be an additional individual who acts as a co-trustee in this instance).